No trip to Italy is complete without touring at least a couple (or a dozen) churches and we had certainly seen a lot while in Rome. Yet, now on the relaxing leg of the trip in Tuscany, I wanted to see one more. The Sant’Antimo abbey nearby conducts seven services a day where all the prayers are sung in Gregorian chant. We stopped by to tour the abbey and listen to a service before heading out to tour local wineries. It was a beautiful service, yet so different from any I’d experienced before. The chanting is described as being divine teaching and prayer at the same time, a way to guide the spirit to silence and contemplation of the divine mystery. Since worshipping at an abbey isn’t something in reach for most of us, how else can we experience this form of prayer where we are? While you can listen to Gregorian chants on your own (there’s even a Pandora station for them), the Taize Community gives us a structure for prayer using meditative song. Taize is south of Burgundy, France and is home to an international, ecumenical community of faith committed to a life of spiritual sharing and simplicity. They are characterized by their prayer services, conducted three times daily. The style of worship is centered around music that is meditative, joyful, prayerful and chant-like. These services give us a model for incorporating repetitive chanting as a way to guide our spirit to silence and open ourselves for contemplation of God’s message. Many churches conduct these services, so you may be able to find one near you if you want to experience it in group worship. 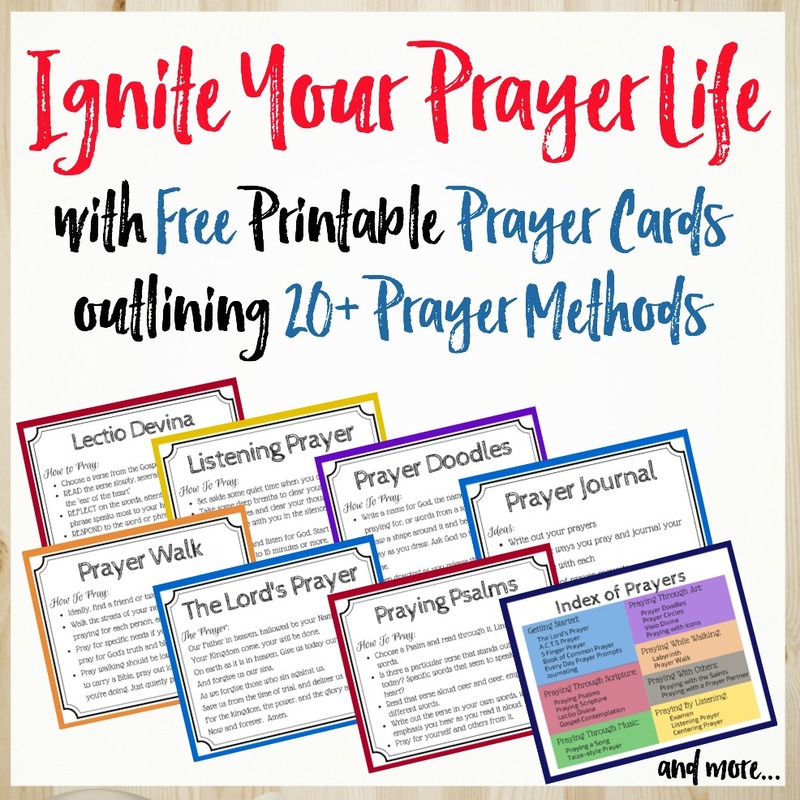 Or, you can try a modified version in your own prayer time. 1) Start your prayer time with a song. Choose one that is chant-like and meditative. I like to play ones from the Taize website, but you could choose something more familiar from your own faith tradition (such as Kyrie Eleison). 2) Read a passage of scripture. 3) Sing or listen to another chant-like song. 4) Sit in silence for a time and listen for God. This is the heart of the prayer service, so don’t rush. The music served to prepare your spirit for listening, now sit and listen for God’s word. Reflect on the scripture, but don’t fill your mind with prayers or words. Allow God space to enter. 5) Sing or listen to another chant-like song. 7) Close with the Lord’s Prayer. I’m admittedly just a novice at this style of prayer, but I’ve found it to be profoundly moving. Some mornings I’ll just sit and listen to the recorded services from Taize. Even though I don’t understand all the words, it puts me in the right spirit for prayer and connection with God. PRAY DEEP CHALLENGE: Listen to the Saturday evening broadcast from Taize. Allow yourself to just listen to the words and rhythm. Spend time in silence listening for God’s word through the scripture reading. Then, pray for others and pray for yourself through the Lord’s Prayer. Italy stole my heart! Absolutely loved our trip there! We had so many highlights of the trip, but this abbey was definitely on the list. I loved finding this Taize style of prayer too. Will sometimes just listen to one of their prayer services for my morning prayer and soak in the music. I loved that post! What an incredible story – I can’t imagine what that moment must have felt like. How special the bond you formed there – and how they became your family and such a key part of your story! Thank you for sharing! Interesting. When I worked in a structures testing lab (a great concrete box of a building) I would try to get in the door first…because the first dude who got the CD player got to choose the music, and I spun up Gregorian Chant. The acoustics made for some interesting polyphonic effects. It was fun. I bet that sounded great in that echo-y building. I had heard of taize, but didn’t know what it was. I just listened to some music. Beautiful. I might try this in my quiet time some day. I’ll check out your links. I had never heard of it until I started researching for this series, but am enthralled with it. Incorporating into a prayer service for an upcoming women’s retreat and can’t wait to experience it more fully. Being connected to a house of prayers means that I am always singing scripture. I had never heard of this style of worship. Thanks for sharing at The Weekend Brew! How awesome that you got to visit a Taize community! I’ve sung a few of their chants with a group once; it was different but meaningful.